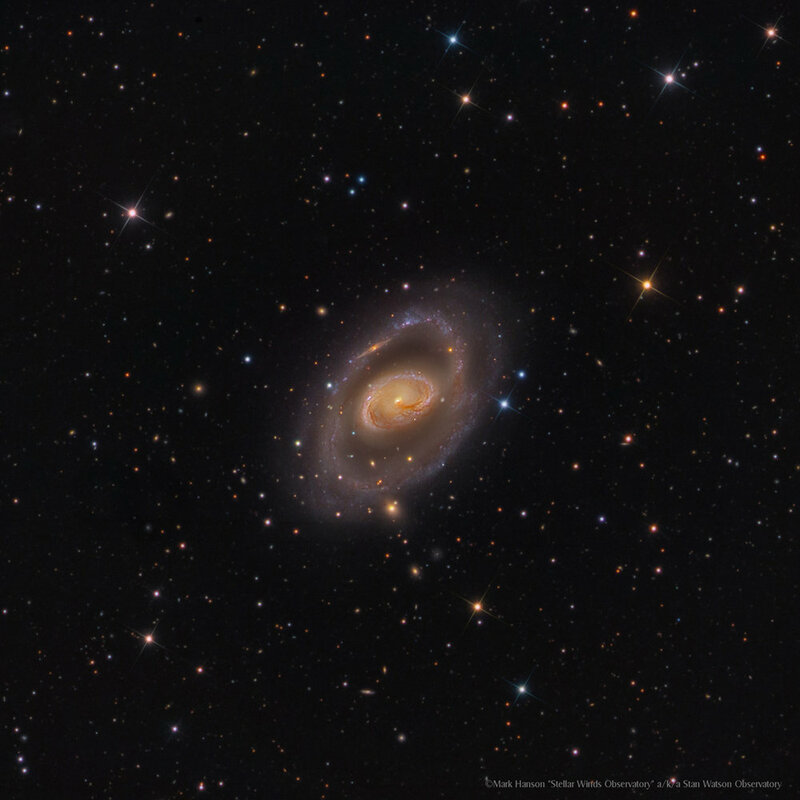 "One of the lesser appreciated treasures in the Messier catalogue is the spiral galaxy M96. Its spiral arms are punctuated with the red glow of hydrogen gas concentrated in emission nebulae and HII regions, the birthplaces of new stars. Many dust lanes swirl around its core with the distribution of its gas and dust being asymmetrical as well as the core region being placed off-center. The entire galaxy spans 100,000 light years making it about the same size as the Milky Way at a close distance of 35 million light years. The surrounding region is filled with a wide variety of background galaxies much further away. The most striking of these is the edge on galaxy 2MFGC 8391, which is perfectly positioned to share the line of sight to create the illusion it is part of the structure of M96."